The Channel Islands are found in the productive and highly diverse Santa Barbara Channel in Southern California. Although the heavily urbanized mainland coastline of the Channel is home to over 18 million people, the shorelines of the islands are rugged, isolated, and provide critical habitat for endangered birds, foxes, plants, and more that are only found here. The islands that make up Channel Islands National Park and Channel Islands National Marine Sanctuary are valued and federally protected for their intrinsic beauty, ecological importance, and a cultural history spanning more than 13,000 years. Although uninhabited, these sensitive island shorelines are plagued by large amounts of marine debris that vary in type from consumer debris like food packaging to fishing nets. The debris can come from many different sources such as storm water discharge, illegal dumping, mainland beachgoers, the local commercial fishing industry, and can even travel to the islands from other countries. 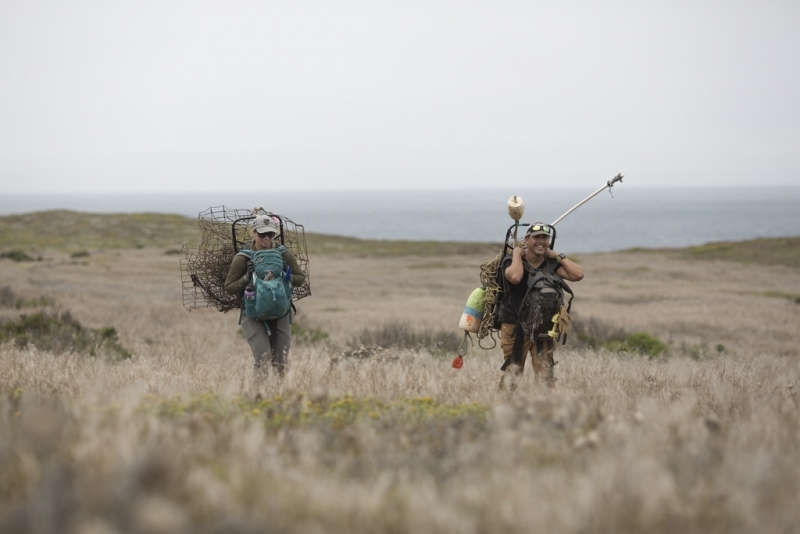 In an effort to tackle this debris, California State University Channel Island’s (CSUCI) Santa Rosa Island Research Station (SRIRS) staff, faculty, and students have been working to monitor and remove marine debris from portions of Santa Rosa and Santa Cruz Islands since 2015. 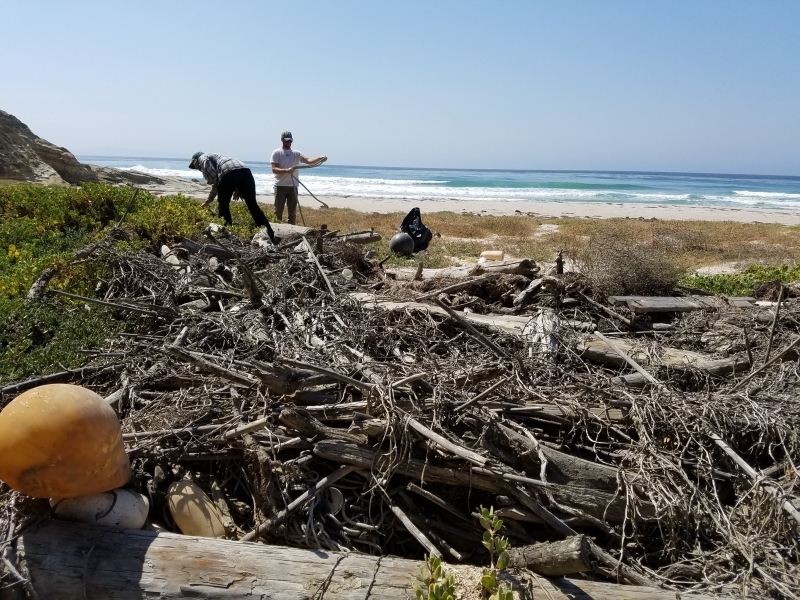 With support from the NOAA Marine Debris Program, over 3,000 pounds of debris have been removed from the islands by CSUCI faculty, SRIRS staff, and students through partnerships with the Channel Islands National Marine Sanctuary, Island Packers, The Nature Conservancy, Channel Islands National Park, and other local partners. On these remote islands, removing marine debris does not come without its challenges. Beach access, potentially unsafe roads, sensitive cultural resources, and more all make removing and monitoring marine debris difficult. Each trip begins with a 2-3 hour ferry ride to cross the Channel to reach the island, followed by a 2 hour trip by vehicle on bumpy unpaved roads. 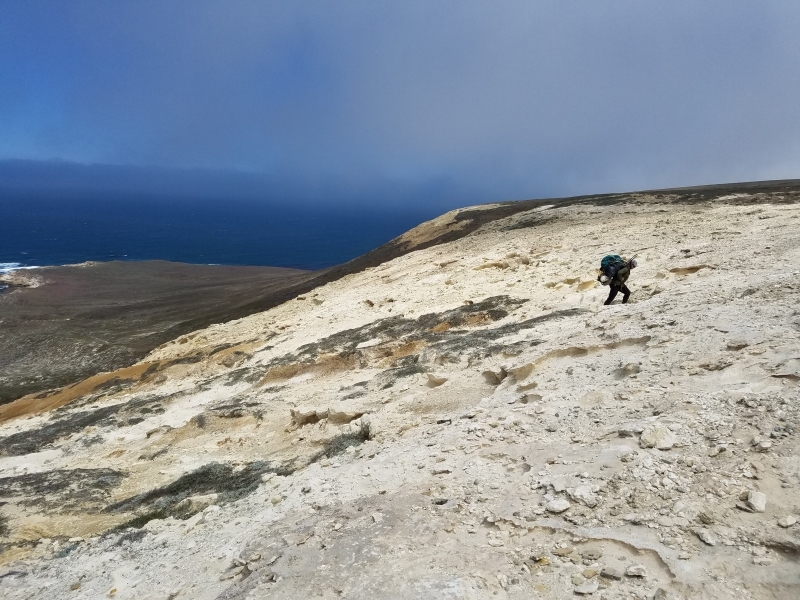 Finally, SRIRS staff and volunteers hike down the rugged and rocky shores to the study site, removing whatever they can carry and surveying the amount and type of debris present. Once collected, it is strapped onto heavy frame backpacks and hauled over the rocky cliffs and up to the vehicle ultimately to be transported back to the mainland by Island Packers. Through this project, CSUCI is not only helping to reduce the amount of debris on island shorelines, but working to understand it. 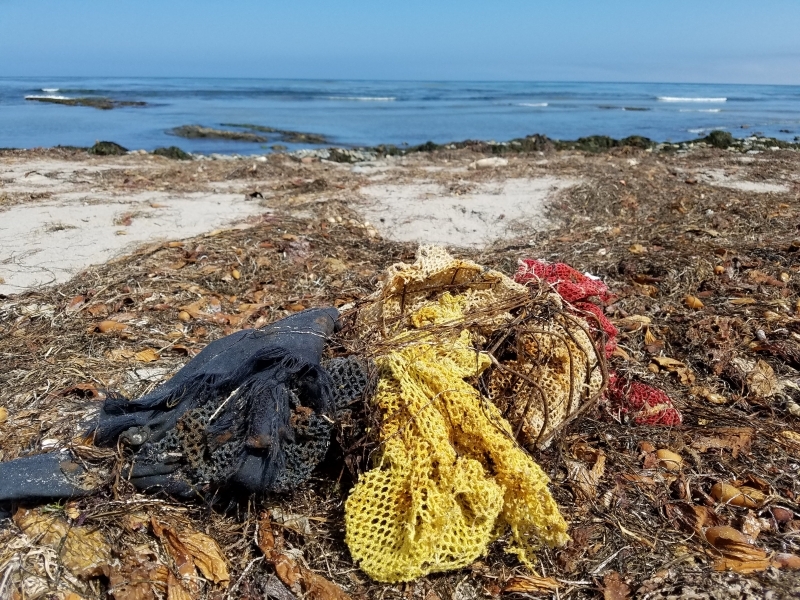 Once removed, marine debris from Santa Rosa and Santa Cruz Islands is processed and sorted by undergraduate students, with plastics and lost fishing gear among the most abundant debris types. With this data, we can begin to understand marine debris trends on the Channel Islands. In addition to documenting these trends, CSUCI has developed best management practices to remove marine debris from ecologically sensitive and culturally important island beaches, is working to assess microplastics on Channel Island beaches, and has been working with students in local K-12 schools to cultivate a new community of Santa Barbara Channel Stewards. The Channel Islands may be miles away from mainland California, but it takes a village to take on the debris found there! Want to follow the journey? See more photos and stories from the Channel Islands on Instagram. I was wondering what you do with the debris, such as plastics, after being found and recorded? Hello Heather! You may notice that one of the professors in the pictures is an art professor. Most of the debris is actually used by art students at CSUCI, although volunteers and participants may take some home as well. We actually have some debris from removal that decorates our offices here at NOAA. Hello, My name is Juan Navarro, a middle school teacher for the Oxnard School District. I would like my class to be involved in a beach clean up this school year. Is there a possibility that my class can join in a beach clean up? If not at the Channel Islands, Oxnard beaches? Hi Juan! It is wonderful that you want to involve your class in a beach cleanup! You can contact our California Regional Coordinator, Sherry Lippiatt (sherry.lippiatt@noaa.gov) and she should be able to let you know if there are any beach cleanups happening near you.